Looking to update your outdoor landscape to make it pop this year? Whether you’re a newbie gardener or a green thumb expert, these 6 trending outdoor landscaping ideas will transform your outdoor space and add curb appeal without breaking the bank. Add a front yard fence. One of this year’s big landscaping trends is adding a front fence which allows for additional privacy and creates a beautiful backdrop for landscaping. There are plenty of design styles to chose from, just be sure to match the current style of your home to ensure continuity. If you have a homeowner’s association, be sure to check your bylaws. 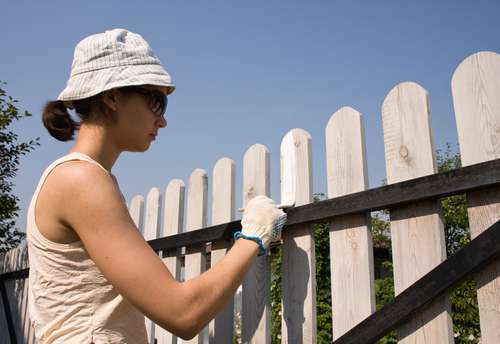 Paint the fence to make it pop. Are you looking for a quick way to make your landscape pop this year? A new trend for landscaping in 2016 is painting outdoor structures dark, bold colors. 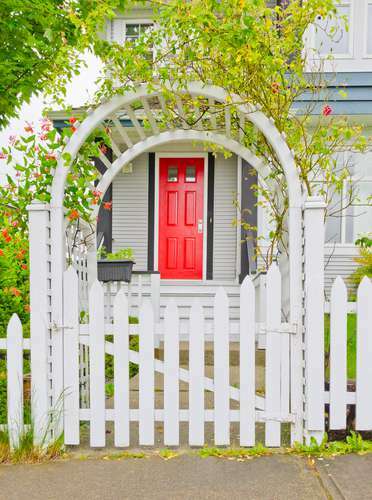 The “white picket fence” traditional look has phased out and been replaced by the modern European-inspired look of dark grey, green or blue fences. The contrast between a dark fence and garden gives a dramatic flair to your landscape that will wow your neighbors. 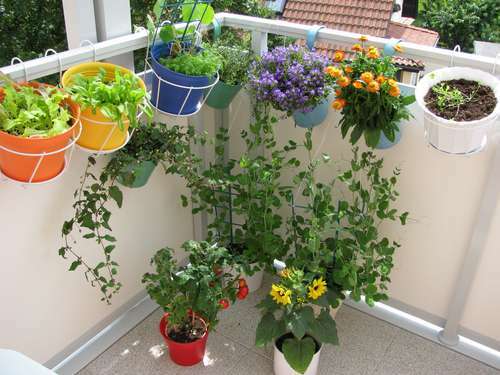 Add a hanging, edible garden if you’re short on space. 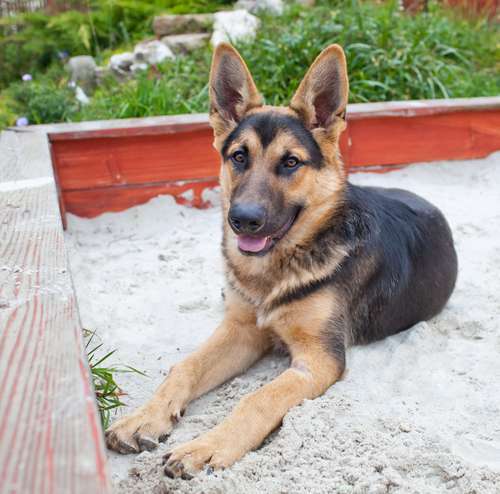 You always wanted an edible garden, but hesitated in the past because of your garden-destroying pup, or because you live in a concrete jungle sans green space. A hanging edible garden will help keep Fido from munching and doesn’t require a large backyard. Pinterest has gone wild with chic DIY hanging gardens that can fit into any outdoor space and add a creative flair to the yard. Build your own water feature. Who doesn’t love the sound of a gentle waterfall or stream? This is one of the reasons why having a water feature in the yard has become one of the hottest new trends for landscaping in 2016. 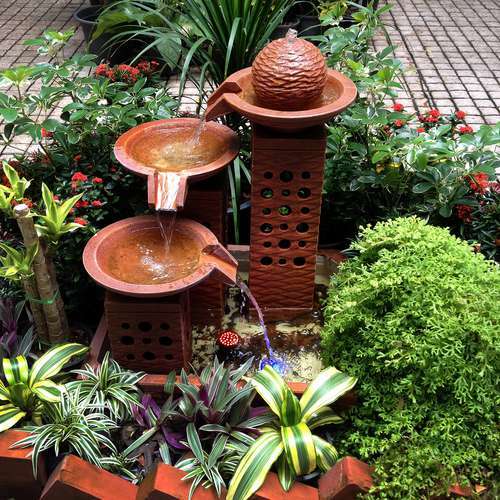 Adding a water feature has become very affordable through easy DIY man-made ponds, to self-contained water systems in urns or water walls. Turn your backyard into an outdoor living room. 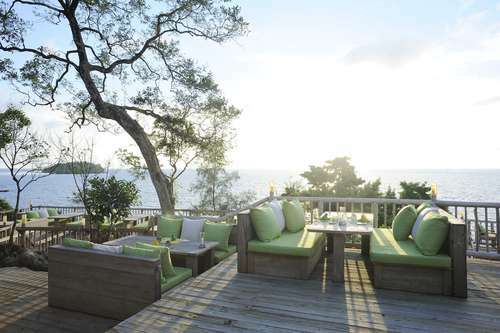 More homeowners are stepping out from the house by investing in outdoor living furniture to get closer to their landscape. Your yard can be part of your home by adding an outdoor sitting area, creating walk-able landscaping to connect you to the nature in your own backyard. What’s your favorite landscaping tip? Share your favorite or your own tips in the comment section below.